Disclaimer: I only own this fanfiction here. Fairy Tail belongs to our hero, Hiro Mashima. Previously: “Be lovey dovey all you want; I don’t care. I’m not hungry anymore cuz of your face, Lyon.” And with that, I just left those two be. What is this feeling? The feeling of defeat? Che, yeah right. There was nothing to fight over in the first place. Despite saying this, this uneasy feeling grew deeper each step I took. “Eh? Gray-sama~~” Juvia shouted after Gray-sama, but he just kept walking away. “Gray-sama, wait!” Juvia was about to run after him, but Lyon-sama grab a hold of her hand. “Let’s go, Juvia! I’m hungry,” said Lyon-sama as he walked the opposite direction. “Juvia loves him,” Why can’t Juvia say anything beside these words? Where are all her words? The only thing in her head is her Gray-sama and how much he means to her. “Even when Gray-sama is being cold to Juvia, she knows that somewhere in his heart, he also cares about her.” Does he? He does care about Juvia, right? At least for a bit? Those tears won’t stop rolling down. 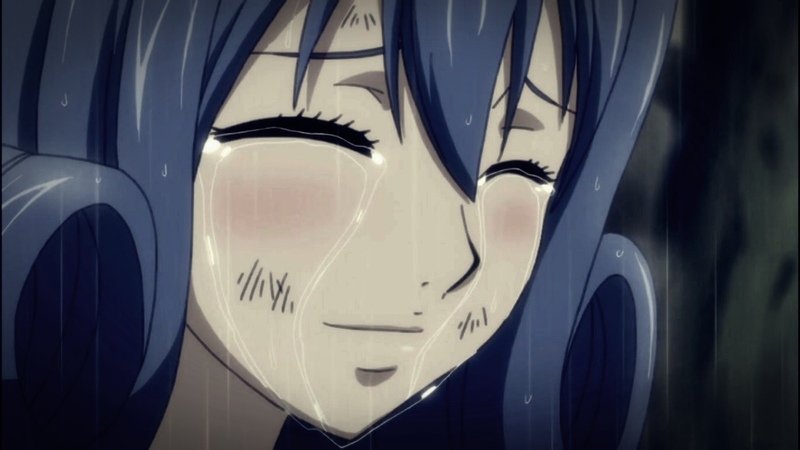 “Juvia believes that Gray-sama does care about Juvia; he just doesn’t show it outside. He cares.” Despite saying this, there are still doubts within her words. “He cares. 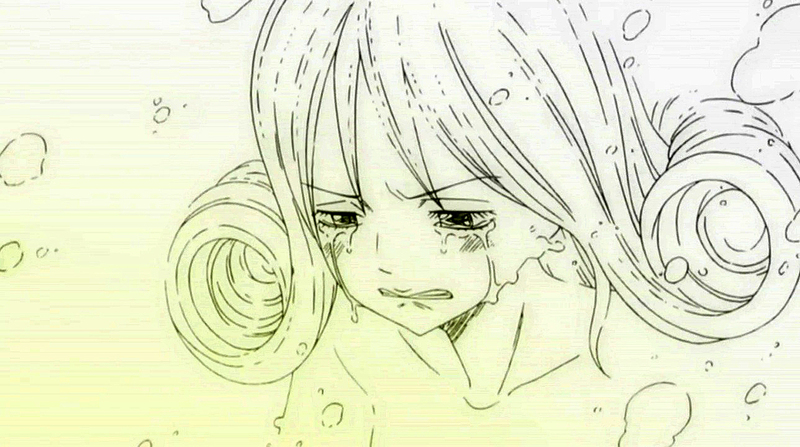 Somewhere deep down.” Juvia couldn’t stop crying, and those tears continued to roll down her cheeks trailing down until they dropped to the ground. The next thing Juvia knew was that Lyon-sama pulled her into a hug. If Juvia met Lyon-sama first? Would she loves him instead? He is a good person after all. Argghh!! I was such a jerk! Why did I just leave Juvia there with Lyon? We were going to go somewhere together. What if Lyon is bothering Juvia again? Before I knew it, my legs were already leading me back to where I left Lyon and Juvia. What I saw in front of my eyes made me speechless. What the heck does Lyon think he’s doing? Juvia had her back toward me, while Lyon was hugging her. His hands, too. Those swarming hands! He had his hands on Juvia’s back while he was saying something to her. I couldn’t hear since I was kind of far away. My stomach did a flip again. I felt my blood boiling and I wanted Lyon’s face flat on the ground. I took a step forward; they still didn’t see me yet. If Lyon keeps doing what he’s doing now, one day, Juvia might actually give him a chance. Suddenly Mira’s words echoed in my head. Juvia giving Lyon a chance? My leg froze again. I looked up to where they were. Lyon still had Juvia in his arms. Am I too late? Woah, wait. Too late for what? Juvia was always my nakama. What Lyon is doing with her has nothing to do with me. Right? That being said, I turned my back and headed toward the guild. What is this feeling inside my chest again? It’s suffocating.